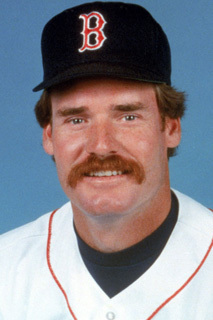 The Red Sox announced this afternoon that they will retire Wade Boggs' number 26 in a pre-game ceremony at Fenway Park on May 26, 2016. Boggs, who was inducted into the National Baseball Hall of Fame in 2005, hit .338 during his 11 seasons with the Red Sox, second only to fellow Hall-of-Famer Ted Williams. Boggs has also played the most games at third base in team history. Drafted by Boston in 1976, Boggs made his major league debut on April 10, 1982. In addition to his career with the Red Sox, he played five seasons for the New York Yankees and another two for Tampa Bay. It will be the tenth number retired by the Red Sox.